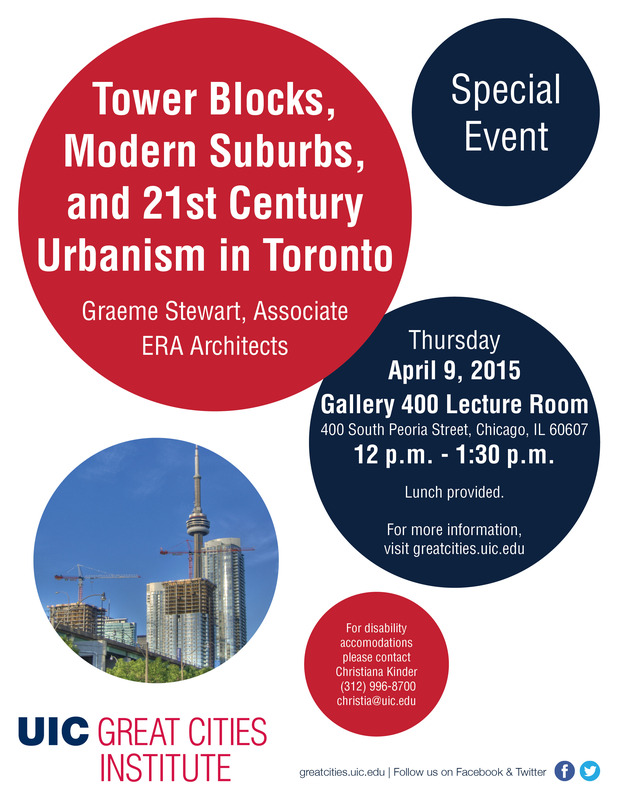 Graeme Stewart will discuss recent developments in Toronto’s Tower Neighbourhood Renewal initiative. With its thousands of residential towers, Toronto has an urban form unique in North America. In fact, Toronto has a denser metropolitan area than Chicago, Los Angeles, or even Greater New York City. This is not the result of the city core, but rather of distributed pockets of density found in apartment neighbourhoods throughout the GTA. Graeme’s talk will review the history of this unique condition, address a number of problems arising from the construction and planning of these neighbourhoods, and explain the Tower Renewal initiative and its efforts to rethink our city from the ground up and the top down.